Note: As you know, we carefully listen to every players feedback. Based on these feedbacks we improved the jersey sizes for 2011 to make the fit and feel of our high quality GAIA jerseys better one more time. If you want detailed information about the 2011 size change, please click here. Start measurement from the side, keeping the tape horizontal. Wrap it around the body under your arms and hold it across the highest point of the chest. Be sure to keep tape level across back and comfortably loose. Measure around the narrowest point with a loose tape, keeping the tape horizontal. Measure from the crown to the floor, standing against a wall. No shoes. 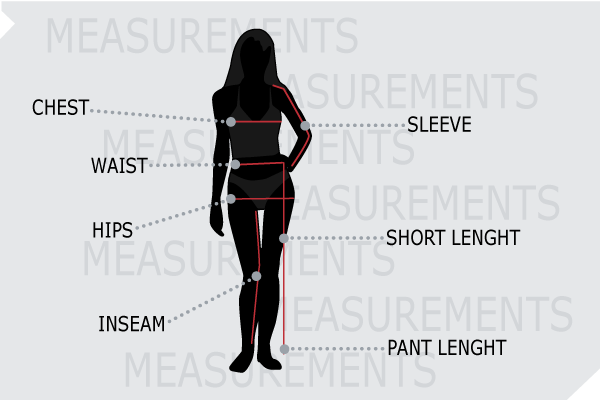 Using shorts / pants that fit you well, measure from the waistband (not including it) to the bottom of the leg. Using shorts / pants that fit you well, measure from the crotch seam to the bottom of the leg. Bend elbow, measure from the center back of neck, over point of shoulder, down to outside of the arm past the elbow to the wrist. Measure around your head where hat/headband would fit comfortably. 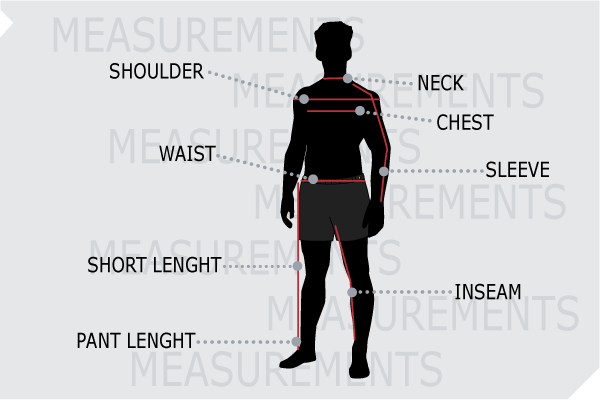 If your body measurement is between two sizes, go to the lower size for a tighter fit or the higher size for a looser fit. If you are planning on applying 3 different screenprint "hits", you should consider going up 1 size (for technical shirts) as your garment will pass through a hot oven 3 times to set the ink. This could cause the garment to shrink. This does not count for GAIA Full Body Sublimation apparel. 38''-41" 41''-43" 43''-45" 45''-48" 48''-51"
28"-30" 30"-32" 32"-34" 34"-36" 36"-38"
5'5"-5'9" 5'9"-6'1" 5'11"-6'3" 6'3"-6'7" 6'1"-6'7"
32''-34" 34''-36" 36''-39" 39''-42" 42''-45"
28"-30" 30''-32" 32''-34" 34''-36" 36''-38"
5'3"-5'5" 5'5"-5'7" 5'7"-5'9" 5'9"-5'11" 5'11"-5'13"
We work with an industry standard of ± 0.5 inch (1,27cm).